Looking for the authentic taste of soy sauce with less sodium added? Kikkoman naturally brewed less sodium soy sauce offers the same great flavor and appetizing aroma of regular Kikkoman soy sauce but with 37% less sodium! It is naturally brewed from wheat, soybeans, water, and salt. It is then aged to develop its mellow flavor and reddish-brown color, and the salt isn't removed until after the brewing process is complete to retain its authentic soy sauce taste. Although there is less sodium in this soy sauce, it can be used in any recipe calling for soy sauce, and the reduced salt can accommodate your lighter menu items and your health conscious patrons. Besides noodle dishes, this less sodium soy sauce is great for grilling or roasting beef, pork, tofu, seafood, or chicken. Blend it into a signature sauce, or whisk it into savory dressings and marinades. 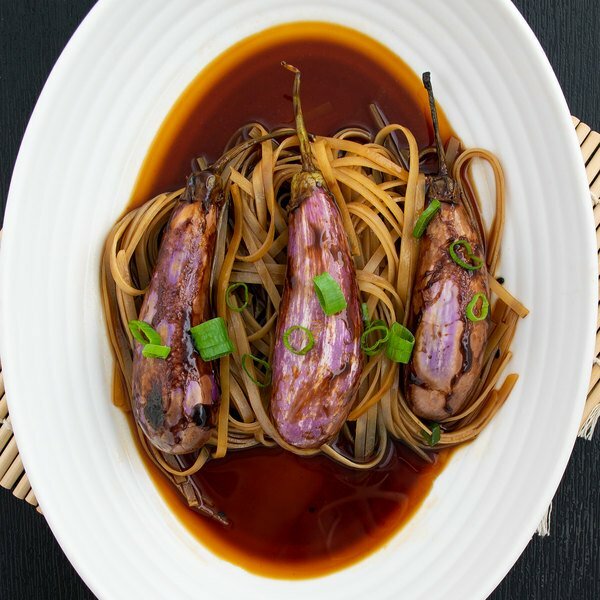 The delicate consistency of this soy sauce has a distinctive essence for your traditional Asian cuisine, and also brings new tastes to mainstream American foods! 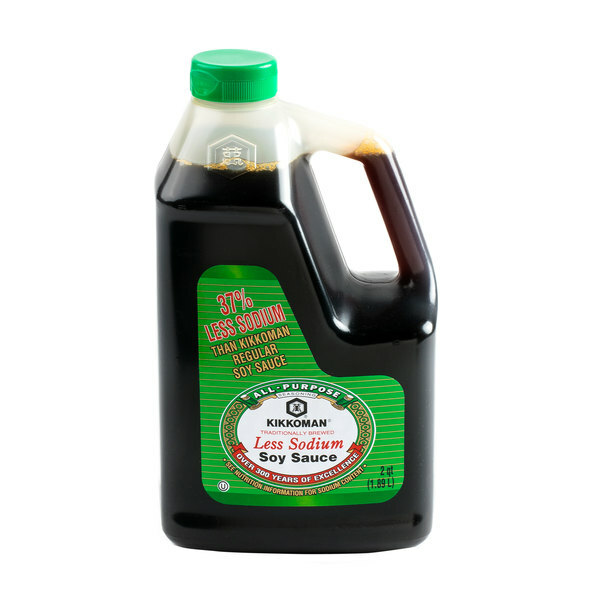 Stock your Asian-inspired restaurant, noodle restaurant, or cafe with this .5 gallon container of less sodium soy sauce. It features a convenient handle for pouring and transporting, as well as a resealable cap to keep the product fresh. I use this both as a condiment and a marinade. Regular soy sauce depending on the brand can be way too salty as a condiment. I like cutting down on the sodium. I prefer the low sodium soy sauce compared to regular because regular is just too salty for me. I can't find a large size of the low sodium soy sauce anywhere else but here. I use alot of low sodium soy sauce so I bought this bottle as it would cost me less in the long run and last longer. I have no complaints, the price and quality are excellent especially when making chicken wings. Purchased for home use. We no longer use regular soy sauce, only low sodium for a more healthy choice. Kikkoman is our preferred brand. I do not feel the low sodium taste is compromised at all We cannot porches this product in bulk size in our area and this size makes it cost effective. The Kikkoman Naturally Brewer Less Sodium Soy Sauce Half Gallon Container is a very economical way to refill serving bottles at the same time reaping the benefits of less salt for individuals with sodium control diet. While the original is great too, I like that with this product you have a little more control over the sodium content in your recipes. You can always add more salt if you need it. I love that Webstaurant sells products in bulk that the home chef can afford. I love the low sodium version for use in my recipes because my husband has hypertension. Trust me, there’s no loss of flavor! I am very impressed that the soy sauce had a distant expiration date and was even more impressed that the flavor was spot on!! Would definitely recommend this for the price for sure!!! We purchased this for home use, since it seems like we use soy sauce in everything. Upon opening, we noticed that the scent was somewhat different from the small glass bottles we buy in the grocery, but the taste is the same. We assume the sheer volume of soy sauce accounts for the slightly different scent, and will be back for more in a few weeks when this bottle is empty. this (kikkoman) less/low sodium soy sauce is the best. i use so much of it in my cooking and just for eating. it's less salty so you can cook with it and reduce it and it's not crazy salty. the flavor is very well rounded. it's great. Soy sauce is salty by nature but none of the flavor is lost in this lower sodium version. It is good for people who need to monitor their salt intake and for everyone else too. This soy sauce has a great round flavor. You don't miss the salt in this brand at all. The quality of this soy sauce is great. Would highly recommend. This soy sauce is awesome for marinating chicken for a few hours before grilling. The half gallon size goes a long way and the price is unbeatable.